In July, biology teacher Nik Light brought his Y10 class to the library and encouraged them to take a science book to read over the summer holiday and write a review. 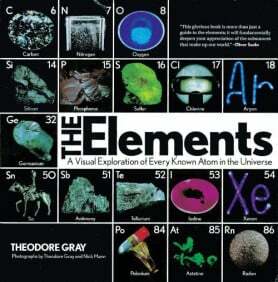 The result is a an interesting selection of insights into books on a wide-range of science topics. 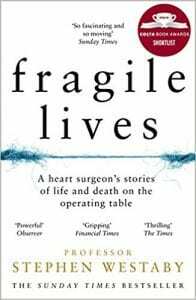 ‘Fragile Lives’ is a book about a heart surgeon’s stories of life and death on the operating table. It is an autobiography from the point of view of one of Britain’s most esteemed surgeons, he has spent his entire life dedicated to the career of cardiovascular surgery. In this book there are many truly intriguing stories about the border between life and death, one of the most interesting topics I found in the book is the fact that almost any heart can be brought back to life again, this is shown through the countless times in the book during the cases where the patient’s heart seizes muscle contractions in the heart due to a variety of different methods, and with the correct physical contractions by the surgeons hand or the defibrillator, any heart can be brought back from the lifeless void. However, the most engaging aspect is the fact that they do not want to bring back anyone’s heart because the longer a person’s heart has stopped beating, the more likely that the patient will become brain dead and be no use to revive because they will have no ability to function and therefore they will be announced deceased. The book also gives an fascinating insight into the life of a surgeon. As in any career they start at the bottom and work their way up, this book shows the inspiration of the author as a surgery when he was just a junior clerk, he had snuck onto a rooftop to see a surgery. This surgery failed miserably, as the patient died but it gave an insight to the young clerk that not all surgeries are a fairy tale and some do indeed fail. 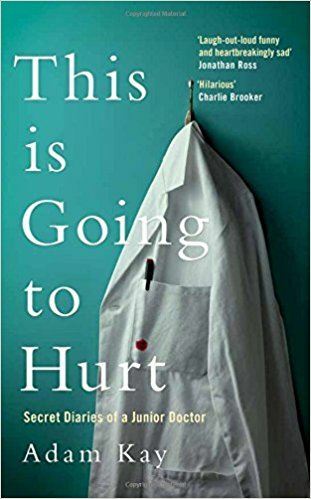 What I think is the true inspiration for the author is the story of his father and how he fell victim to heart failure and eventual death, I believe this helps the audience sympathize with the author understand his reasons for becoming a surgeon and epically a cardiac surgeon. The book is mainly about the operating table and the fate of the patients but there are glimpses of a view into the life of the author. The life of a future surgeon is not a pretty one, they are given tasks of cleaning away the failures of surgery and many sleepless nights of work, but this life doesn’t stop as you become more experienced and qualified, the cleaning stops but the empathy begins – the feeling of someone else’s life in your hands and the sleepless nights do not decrease in frequency, and when all is said and done you will be left with the scars of a surgeon, an augmented hand from using instruments for your entire life and also the memory of your failures. I Think You’ll Find It’s a Bit More Complicated Than That is as much a collection of entertaining scientific articles as it is a lesson in the art of research and data, teaching the complications of processing data and how these complications can be exploited (knowingly or unknowingly) to create false truths. Each of Goldacre’s articles focuses on addressing research that can come from all kinds of scientific topics and is written with both knowledge and charisma. He exposes falsity and honours the heroes of truth in spectacular fashion. One of these heroes, for example, is a 12-year-old girl explaining why tilting your head in a specific movement does not open a certain artery in the brain to allow for clearer thinking (as her school had taught her). Gradually the book teaches small but important aspects of data analysis: why it is important not to cherry pick evidence, or why an explanation of the method of an experiment is as important as the results, or how unknown factors sneak into research claims all the time, or even that sometimes numbers are just plucked out of thin air. ‘Sapiens’ is truly a non-fiction masterpiece; a book that expertly intertwines our biological developments with our cultural and ideological ones; a book that threads together a plethora of subjects, of stories and theories, and condenses them into one incredible story. 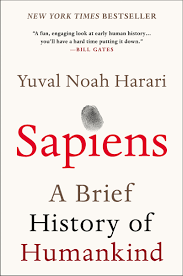 ‘Sapiens’ is a non-fiction book, written by Yuval Noah Harari, that explores ‘A Brief History of Humankind’. It was initially published in 2011 in Hebrew, and later translated into English in 2014. A million copies later, it is a global hit and a bestseller. Although it is usually wise advice not to judge a book by its cover, the cover of ‘Sapiens’ leaves you instantly impressed. At the foot of the sleek front cover, a recommendation from Bill Gates greets the reader; the back meets you with a quote from Barack Obama. The reader is left with an intrinsic urge to read more; a hunger to discover and digest all the knowledge that the 460 pages have to offer. The book begins with a ‘Timeline of History’, followed by four main sections: ‘The Cognitive Revolution’, ‘The Agricultural revolution’, ‘The Unification of Humankind’ and ‘The Scientific Revolution’. 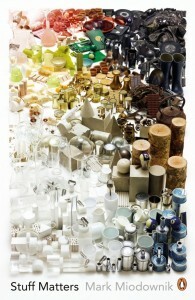 Each describes and explores different periods in the development and expansion of ‘homo sapiens’. Each section describes and explores crucial turning points in the history of our species, and in the development until what we are today. 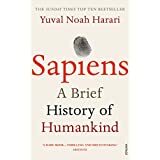 In the first section, Harari seamlessly threads together the theories and the evidence of ‘The Cognitive Revolution’ into a breath-taking tale of how we became the dominant human species. Harari introduces the protagonist, playing both hero and villain of this tale: ‘Homo Sapiens’. When we first appeared on the scene 200,000 years ago in East Africa, the world was littered with different human species. Around 70,000 years ago, a mutation in the sapiens brain gifted homo sapiens the ability to build complex social structures; namely large tribes, that allowed us to climb to the very top of the food chain. These increasingly large social groups were bonded together by the crucial factors of language, which Harari believes is the predominant reason for our success in this period. Also, fiction played a role later on, in the creation of fictional entities such as religion, that allowed homo sapiens to join into bigger groups in order to defeat other animals. Thus, homo sapiens hunter-gatherers drove all other human species of the face of this Earth. Harari then goes on to describe the Agricultural Revolution, which began around 9500-8500 BC in the area of South-eastern Turkey, Iraq and the Levant, with the domestication of goats and wheat. The domestication of these, as well as a few other crucial animals and plants, allowed humans to give up the hunter-forager lifestyle. In this section, Harari really explores the theoretical reasons for this transition. He explains how life in farming societies was violent, crowded and disease-ridden, as populations and reliance on good harvest seasons increased dramatically. Harari explains how the need for records of taxes led to the discovery of mathematical numbers, and how large civilizations spurred another mental revolution which led to the usage of currency. The mutual trust that trading with money gave, allowed millions of strangers to co-operate, but it also eroded family values and gave way to slavery, murder and crime. In the 3rd section, Yuval Noah Harari explains the ‘Unification of Humankind’. The birth of money, monotheistic religions such as Islam and Christianity, and a more global outlook, caused thousands of cultures to interact, then eventually merge. Between 10,000 BC and 1450 AD, the number of independent cultures had dwindled. The emergence and expansion of commerce, Empires and universal religions created the single, global world in which we live today. In the last section, Yuval Noah Harari talks how about the revelation of ignorance. He believes that once we understood that we were not even close to being omniscient, ‘The Scientific Revolution’ began. Scientists wanted to discover new worlds, new species of animals. A plethora of new disciplines were created. In addition, Harari describes science as the ‘sugar baby’ of imperialism and capitalism. This chapter focuses on the symbiotic relationships between science, imperialism and capitalism. Science, along with the funding from empires and enterprises, conquered the Americas, Africa, Asia and Oceania, and brought back unimaginable knowledge, riches and power to Europe. 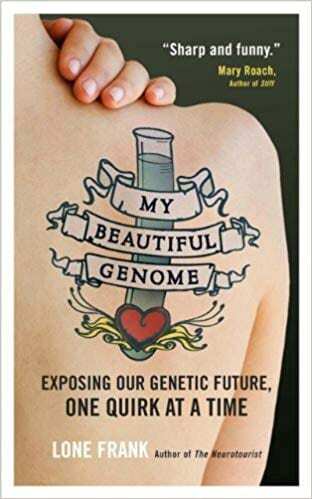 Lone Frank’s book is an interesting exploration of the human genome, detailing the progress of research and scientific advancement through her own interviews and conversations with top scientists and researchers in the field. She begins by explaining the basic science of DNA (bases, genes and mutations etc) for the uninitiated, before launching into her own personal voyage of gene testing to document new progress in identifying genetic predispositions for diseases using SNP markers, research in gene variants that could indicate certain personality traits or mental illness vulnerabilities, and even supposed dating companies matching couples up based on past studies showing that specific gene variants or options of base combinations attract each other and create stronger relationships. She also explores the ethics of scanning unfertilised eggs or early fetuses for genetic weaknesses, asking whether this should be mandatory if the parents are both hereditary diseases carriers or even for any set of prospective parents- this leads to the well-worn debate over eugenics, the fairness of selecting eggs and whether this would result in “designer babies”. Mercifully Frank debunks this one popular myth, explaining that most scientists think creating the ‘perfect baby’ would be impossible given the journey from genotype to phenotype is so complex and the fact there are no single known genes or variants that inevitably result in high intelligence, sporting talent or musical brilliance- one scientist quoted says it is only possible to choose the “least worst” option out of a selection of eggs, as all will have different negative predispositions or disease susceptibilities. However, the questions still remain over the parents’ right not to know, when the government should get involved, how high a possible risk of disease is in fact too high to allow, and whether it is crueller to abort the fetus or to allow the child possible great suffering in later life. Despite these heavier strains, the main thing that struck me after reading the book was a note of heartening optimism: it details much of the research that has shown strong links between different gene mutations and negative personality traits, diseases such as breast cancer or mental illnesses (Frank herself and her whole immediate family had experienced depression, which was actually reflected in her genes), so it would have been easy to conclude that our genes dictate our life and what happens to us. Contrary to this, the last chapter emphasises recent research in the field of epigenetics, which argues that our genes can actually be altered by our environment to express themselves more or less, and therefore that we can influence our own genes and what difference they make to our lives. Frank also seeks to highlight that while genetic predispositions could mean a higher risk of disease, it is by no means a foregone conclusion that you would get it at some point in your life- knowing about the genetic weakness could even improve your chances, if it sparks a positive change in lifestyle (for example, improving your diet and exercise regimes to reduce a risk of cardiovascular disease). Throughout the research on “negative” personality traits she also strives to show a different viewpoint: for example, she argues that vulnerability to stress (usually construed as a negative) is neither bad nor good as it also means the person is more sensitive, and therefore more flexible and better at adapting to changes in environment. Overall, the book shows fascinating correlations between someone’s genetics and their character, health and lifestyle but still finishes with a sense of empowerment: the main message being that we are not defined by our genes, but by what we do with them. With the advancements of modern medicine we have been able to extend a person’s life significantly. Most diseases can be treated, if not cured, with drugs, surgery, intensive diets etc… Yet sometimes modern medicine has lost its priorities to “enable well-being” (page 259). Patients and doctors alike often avoid difficult truths and being overly optimistic about a procedure’s chances of returning to patient back to normal. 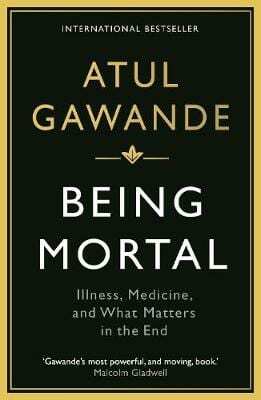 Gawande’s book discusses the human condition at the waning years of a patient’s life, when the hopes of miraculous recovery are deluded, when we must all inevitably confront our own mortality and how we should spend the last moments of our life. Firstly, Gawande critiques the oppressive environment of the nursing home. The modern nuclear family has changed the ancient dynamic between generations, so that the nursing home appeared to fill the role sons and daughters did before. However these institutions did not focus on the well-being of their residents – indeed many felt distraught and depressed – but rather the safety and continuation of their life, however pitiful and empty they might become. Institutionalised living provided efficiency but sacrificed humanity, forbidding its residents to truly live as they wished – no dangerous furniture, no harmful foods, no personal freedom. Gawande illustrates many examples that had proven to provide an alternative to nursing homes, such as assisted living and elderly communities, which all aim to provide a better quality of life rather than safety and longevity of its residents. Secondly Gawande addresses the lack of courage in our doctors to confront the truths. Many procedures had awful side effects for its patients and brought little success. Many surgeries could elongate a person’s lifespan but at the cost of their well-being. Doctors can recommend these procedures in the hopes of scoring the surgical jackpot, and selling the equivalent of lottery tickets. Sometimes patients and their family members can be blind to the side effects of procedures like chemotherapy in order to grasp their chance of returning to normalcy, when sometimes it is kinder to resort of hospice care at home. 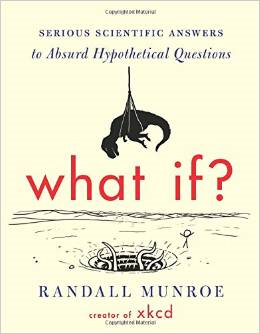 Gawande raised four questions a patient should ask themselves: “What is my understanding of the situation and its potential outcomes? What are my fears and what are my hopes? What are the trade-offs I am willing to make and not willing to make? What is the course of action that best serves this understanding? This helps to alleviate the pressure of deciding and helps the patient’s family members come to an understanding on the best course of action for the patient at the end of their life. Gawande’s book is all about confronting the limitations of medicine. When doctors should give way to caretakers, and when chemotherapy should give way to morphine. Gawande argues that we should maximise the well-being of a patient until the very end, and to live and die at their own terms, and doctors should provide their own expertise to their patient to help them guide through and make the best actions for their well-being. Patients should wonder what matters most to them in the end. 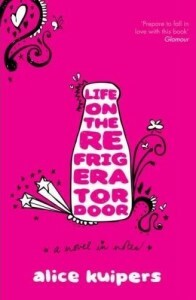 This is our second Carnegie Shortlisted book and it’s a cracker! 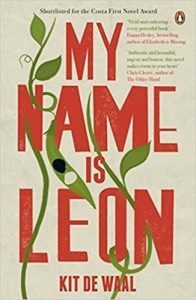 This is a 475 page novel which you w ant to race through to find out what happens but also take time over to explore the issues it presents. I loved the ‘Before’ and ‘After’ style of alternating chapters as glimpses of life before the fire are revealed through Moonbeam’s conversations with Doctor Hernandez and Agent Carlyle. 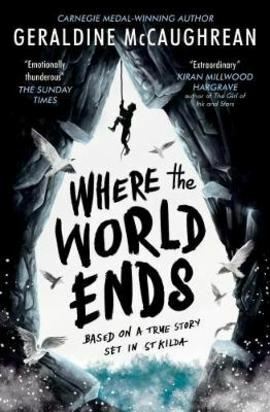 I read Carnegie Book Award Shortlisted ‘Where the world ends’ by Geraldine McCaughrean and couldn’t put it down for three days. The fact that it is based on a true story made it even more compelling and I am always drawn to gritty survival stories. 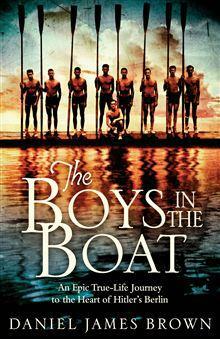 The year is 1727 and a group of boys and three men are dropped on a remote sea stac to go ‘fowling’. They are from an isolated Outer Hebredian island of St. Kilda and have four weeks to harvest birds for food and fuel. Weeks go by and no boat comes to collect them. They endure storms and incredible hardship on the pillar of rock. 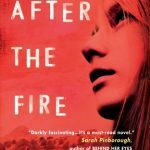 This haunting story is beautifully written with shades of ‘Lord of the Flies’ as the group react differently to their fate and their grip on reality weakens. I was fascinated by the primitive and simple way of life and the many and varied uses sea birds could be put to to prolong human life! This is the story of a boy torn between the guilt and the love of two respective mothers separated by culture, race and land. 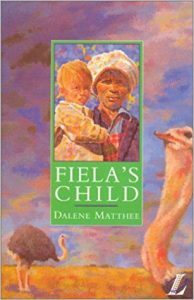 Set in C19 South Africa, the novel portrays the struggle of Fiela, who adopts an abandoned white child. She loses him to colonial authorities 9 years later, when he is taken away to live with a family of white woodcutters across a craggy and treacherous mountain. In a twist that is both realistic and defiant of colonial tropes, the boy’s life with his white family (who are taken as his own), is paltry and more difficult than on Fiela’s farm. 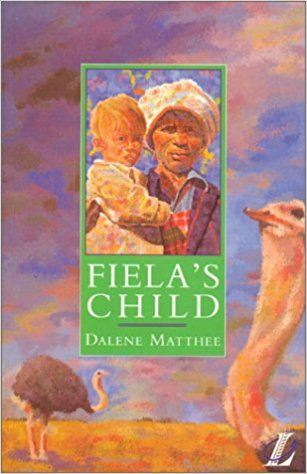 Much of the tension of the story is generated by Fiela’s quest to recover her lost child in spite of all odds, and by the cultural, geographical and racial obstacles in her way. She does not succeed, being bound to her a context of intense racial prejudice. Meanwhile, under her leadership and hard work, the farm becomes prosperous through the breeding of ostriches for feathers coveted by white travellers – and this is more than an authorial comment on Western materialism. Through hardship and in fact abuse in his new home, the boy grows into resilience and maturity and is able to visit his family again, but he is only truly released and ‘returned’ to Fiela’s home when his white mother confess a terrible secret. Fiela’s Child, inspired by real life events, celebrates human endeavour and resilience through family love and self-sacrifice, while exposing the raw absurdity of racial divide and its power to destroy individuals and communities. 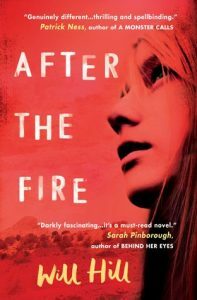 The book begins with a dramatic act of arson and then continues with the back story to this arresting event. Two very different family groups meet and each is fascinated by the differences of the other’s life, one a messy, itinerant lifestyle, and the other a virtuous, suburban family. Their lives entwine and tangle together, and move inevitably towards tragedy. The characters are compelling and very credible, yet all are flawed in their own way, and the contrasts between them create a complex juxtaposition of their attributes. An interconnected thread is a custody battle which breaks out over the fate of a baby. The passions, mistakes, and emotional longings of both mothers, the birth mother and the adoptive parent, are portrayed realistically. This relationship between mothers and daughters is a central theme, and how the mothering instinct is strong, but manifests itself in different ways. The reader is left to decide about what makes a good mother, whether cultural difference should be embraced or ignored, and what place art has in the world. A thoroughly, good read! 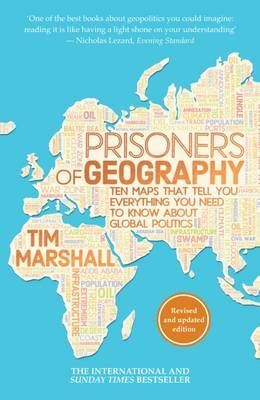 An excellent and accessible read for students who want to make sense of the role geography plays in understanding international relations. A must read for Politics and Geography students but equally fascinating for anyone who takes an interest in the way the world works. This funny, heartwarming story of 9 year old Leon is believable and moving. It vividly evokes its early 1980’s setting and despite tough themes is ultimately uplifting. Our Y9s have been thinking about their ‘‘Desert Island Books’ – which 8 books could they not do without if they were marooned on a remote island alone? We also asked them to think of a luxury and a track of music to take with them. Annabel had a stand out favourite book which she was passionate about and recommends to all her friends. It’s about two friends Caddy and Rosie. Caddy is really shy and when a bold girl called Suzanne comes Caddy tries to befriend her. I loved it because it’s about trying to step out of your comfort zone and explore something new. Not only that but the language is amazing and it makes you feel empathy for the main character. As well as this the main character’s friend is really unstable and it is about her going on a journey to help her friend and to learn who she is. It will make you cry and it will make you laugh. This would definitely be my favourite book and has to come with me to the desert island! Rayyan is promoting this recently published book to all his friends and teachers. He tells me it has much wider appeal beyond the medical establishment and students and it is both laugh out loud funny and deeply moving. It consists of the diaries of a junior doctor from 2004 to 2010 and can be dipped into and read from any page. Recommended by C harlotte in Y10. This is a very gripping, exciting book. It draws you in from the very beginning. You are constantly wondering what is going to happen next and how the characters are going to react. You are instantly gripped with the characters and it is a very heart-felt book. It is a truly amazing and interesting book – a must read! This touching and romantic story was made into a film last year and has a sequel ‘After You’. 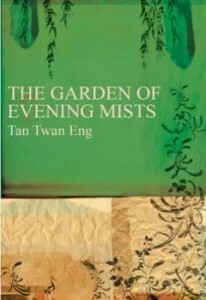 This book is a spellbinding retelling of the classic fairytales and folk stories ‘Beauty and the beast’, ‘Tam Lin’ and ‘East of the sun; West of the moon’. Feyre is a human; one of many forced to live in a land stripped of magic by a Wall separating the lands of humans and the lands of the dazzling creatures known as the Fae. The youngest of three daughters, Feyre has matured quickly, providing for her two sisters and crippled father by hunting animals in the woods near the wall, woods where faeries are still fabled to prowl, and selling them in her village market. Until she kills a black furred wolf in the forest where the primal Fae are still said to lurk and a beast knocks down her door that night…. I’ve abbreviated this review to avoid giving too much away! 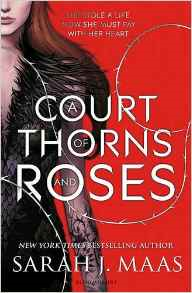 Ramarni goes on to write: Sarah J. Maas spins a magical tale of the triumph of love within beautifully detailed settings and amongst beautifully written characters, in a world that seems as grounded as ours. A worthy read to say the least.’ If you enjoy this book it has a sequel – ‘A court of mist and fury’ but you’ll have to wait until May for the publication of the third book in the series ( ‘A court of wings and ruin’). Ms Dahlke has a good book discussion with Apsley Y9s in tutorial in the Michaelmas Term 2016. Here is the list of their favourites they shared with her. Why not try some of their suggestions? This is a really good detective story with lots of twists and turns. There is also a love story and Haneke starts to care about people as the story progresses and she becomes very brave. She really changes as a person and the end of the book is very dramatic. I was pleased that I listened to this story as an audiobook because there were a lot of Dutch words and names that I didn’t know how to pronounce. This book was aimed at young adults and I really enjoyed it. I gave it 9 out of 10. Mr Penumbra’s 24-hour bookstore is one of those books that gets passed from person to person, each one enjoying it and looking to convert others to the story. And that’s probably exactly what the author Robin Sloan wants to happen as this novel centres on people’s obsession with books. It starts in a strange bookshop in San Francisco, where Clay Jannon has managed to get himself a job. But why does a bookstore that hardly ever sells any books need to stay open for 24 hours a day? Why isn’t he allowed to read any of the books? Who are the eccentric people that come in the middle of night with membership cards asking to borrow very old books? And why are they borrowing them? Clay is intrigued and determined to find out what’s going on. He uses modern technology and the help of his friends to discover the truth. The story unfolds like a classic mystery story, with us following Clay on his journey as he uncovers more and more strange things relating to the bookstore and the people associated with it. Mr Penumbra’s 24-hour bookstore is an absorbing book, recommended for anyone who likes books and a good mystery. 2016 marks the 40th anniversary of the publication of The selfish gene; Professor Dawkins’ classic book on evolutionary biology. A multi-million copy bestseller, it has been translated into over twenty-five languages and brought the insights of Neo-Darwinism to a wide audience. It sparked huge debate and is imaginatively written from a gene’s eye view of evolution. Last month The extended selfish gene was published including two chapters from The extended phenotype in which Dawkins responds to his critics. Perhaps this is an apposite time to re-read the original book or read the extended version? Print copies of the books are available to borrow from the Library or you can read The selfish gene as an e-book via VLEbooks on the e-Library. We had an animated tutorial in the library with the new Y9 girls from the Orange boarding house on Monday 19th September. They were very open about their opinions of ‘The boy at the top of the mountain’ by John Boyne and were very moved by the story. One of them told me she was sad all day when she read one of the tragic events in the book. Great to hear about the power of stories! Any books by Michelle Paver and Jodi Picault. The device, or computer you’re looking at, is stoically emitting a soft electric light, and my words, mere dark pixels in a sea of white, make a message. And then the email from Peter flashes at the top your screen, briefly dragging your attention away as you connect with the words of a person miles away, without any physical strain. In Station Eleven, the human population is scarred by a pandemic, the horrific Georgia Flu. Those who remain, do not waste their breath on trying to maintain the internet. Or electricity. and running water. They simply can’t: when 99% of the human race is decaying, the chances are that the people who do know how to harness the wind turbines, or restart the grid, are dead. And everyone who is left, is battling for survival. This was an incredible novel, because it made you start to appreciate what a miraculous world we live in. Yes, you’re reading this whilst stuck in the airport because your plane was delayed, but isn’t the mere thought of heavy panels of metal levitating into the sky and transporting us wherever we want to go in the world, in an under an day, fantastic? When the world is put into a context where all of these modern inventions are suddenly taken away, the luxury of our society suddenly becomes apparent, especially when St. John Mandel returns to a thread of storyline set before the disease, which creates a sharp contrast. I liked that part of the novel because it followed a famous actor Arthur Leander. His life was portrayed in a way that was fascinating because I felt that at times, it was genuinely similar to the alien lifestyle of a modern day celebrity. There were however, parts which I thought were not realistic, like his recklessness in interviews where the PR manager let him spill his secrets to a random journalist. Do not be fooled into thinking this novel is a glittery tale about a middle aged actor trying to pull himself together; the other part of the plot is dark and thrilling. We are twenty years into the future, in a world desolated by the flu, and we follow the Shakespearean actress Kirsten on her journey travelling around settlements in America, as part of the Travelling Symphony. In a world where there are no laws and no one to enforce justice except leaders of the small societies, the desperation that many people face in the wilderness takes threat and danger to a completely different level. 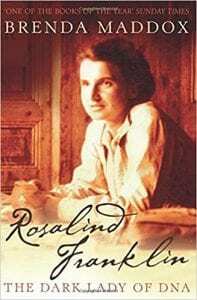 I absolutely loved this novel, the writing style was surprisingly beautiful and eloquent, and variance between the cruel reality of Kirsten’s world on the road, and the puzzle of the glamorous Arthur Leander’s life worked perfectly. Definitely put this on your TBR list, especially if you’re interested in young adult, fantasy or science fiction. 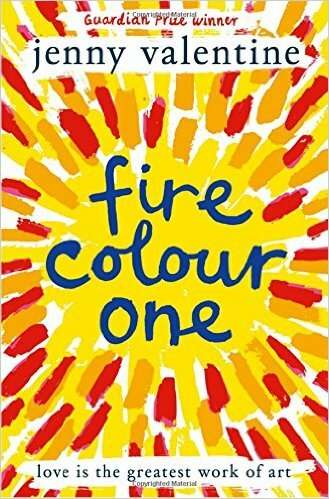 ‘Fire Colour One’ is a quirky, original story. Here is Tara’s review of it. 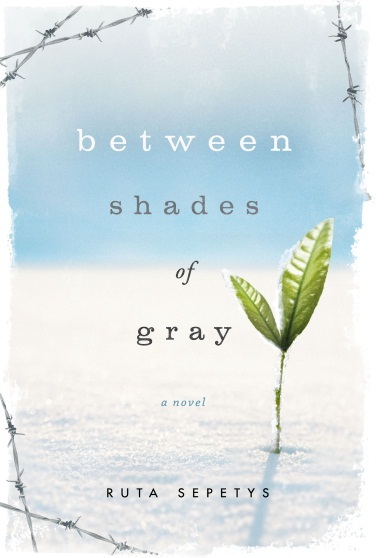 A courageous, remarkable novel about family relationships. Iris doesn’t know her father, Ernest; he left Iris’ mother, Hannah, before Iris can even remember. 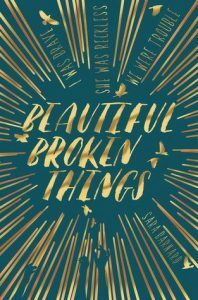 But that’s alright; life for her certainly isn’t perfect but Iris has her best friend Thurston to see her through things, and anyway, she hasn’t heard from Ernest in over 10 years. Iris’ mother, Hannah and her boyfriend, Lowell, are drowning in debt and are struggling to keep up the facade of being an extravagant and thriving family. Yet, despite their financial status, they continue to uphold this illusion. They have to; Hannah’s obsession with luxurious fashion must be maintained, and visiting casting directors won’t hire Lowell if they look like they are sinking into the depths of poverty. So when Hannah hears that Ernest, Iris’ father, is dying, she jumps at the opportunity to see him. Why? Ernest is a millionaire and she is keen on snatching a large proportion of his wealth through her daughter, as soon as he is dead, so that Hannah can continue to live in the upper echelons of L.A society. Iris reluctantly comes, after all Hannah can’t visit without her, and is surprised. The walls of Ernest’s humble house are covered in priceless masterpieces. They are all there; Picasso, Rembrandt, Van Gogh, Renoir. But once Iris peers past these incredible paintings into her father’s eyes, she discovers an unbelievable truth. 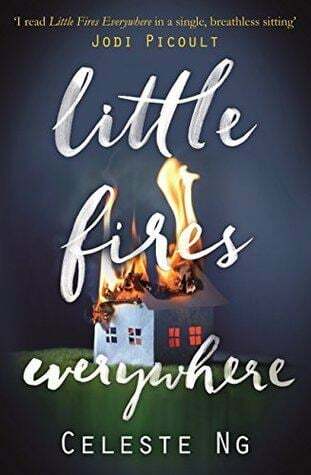 I liked the characters in this novel because of their rich personalities; Iris is a pyromaniac, and devotes her free time either to setting fires, or spending it with her older creative yet homeless best friend Thurston. Thurston appears to have a mysterious, innovative character and an intriguing past. However, he had no clear role in the novel except as the one person who Iris is emotionally attached to, as well as a shadow to Iris’ father (both are characters she nearly loses as they temporarily disappear). But unfortunately he plays no outstanding role bar him cameoing in several of her flashbacks; it is a shame because there is no obvious significance in his role generally. Hannah is Iris’ self-indulgent mother, and is determined to accumulate as much of Ernest’s wealth as possible, in order to launch her out of debt and ricochet her and her like-minded boyfriend Lowell, back into the life oozing with luxury. Hannah is similar to greedy stepmothers in fairytales; portrayed hyperbolically and one dimensionally. She has a truly despicable character but has been depicted too brashly, and seems to have an unrealistic character. The novel reads easily and amiably, but too often did I find blatant cliches, which were, frankly, a disappointment. On the other hand, there were incredible lines of literature scattered around, and it felt wonderful reading them. So, in the sense of the actual writing, there was much divergence. The main theme is novel is relationships, so there is exploration of that in most of the chapters, as well as the theme of family. In Iris’ case, her real family offer no comfort, so the reader observes her try to piece her own version of a family, albeit unrelated through blood, together. The plot unfurls through the eyes of Iris and there is a clear direction, although it is frequently punctuated with fragments of the past, which adds complexity (but I think that without these occasionally irrelevant dips into history, the novel would also be extremely short, because without the buffering of these accounts, relatively little happens). I thought the ending was cunning and satisfying, but various important pieces of information were brutally shoved upon the reader in the closing pages. 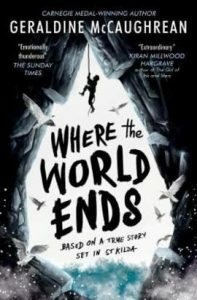 This novel has been nominated for the CILIP Carnegie Medal, and therefore is predominantly aimed at the younger spectrum of teenage readers. I agree with this, because the language and use of stylistic devices is recurrently simplistic. Having said that, it was an enjoyable, light, minimal attention required holiday read! Over this Christmas I read The Martian by Andy Weir. It was compulsory for me to read it with my tutor group but it turned out that the book was amazing. The book was full of action, mystery and made you wonder what you yourself would do if you were in Mark Watney’s situation. I found that I wasn’t able to put the book down at any time. The book was full of interesting scientific facts that I had never known about myself! Finally I would say that this has to be my favourite book that I have read so far. 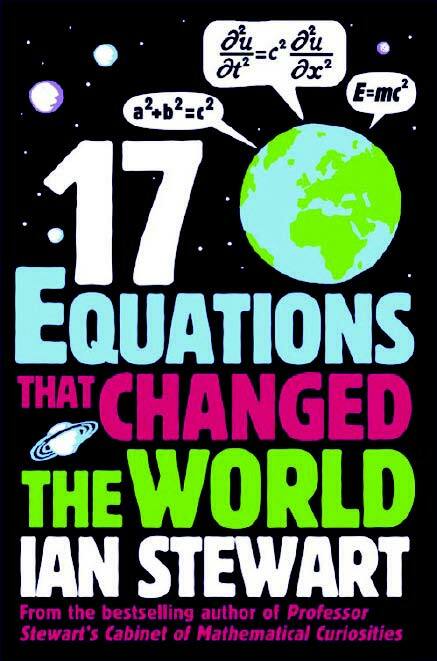 This book has been recommended to me by 6th formers, adults and younger students. It has met with huge enthusiasm across all ages and it brings plenty of interesting science to a gripping story. The Matt Damon film is also excellent! The Service Team at Wellington College suggested a book list on the theme of social issues. This is a starting point – most of the following books are available from the Library; we will be adding books to this list. I personally would highly recommend Tuesdays with Morrie as a remarkable and uplifting book dealing with terminal illness and dying but also with many positive messages for all of us. Matt Haig’s autobiographical book ‘Reasons to stay alive’ deals with depression in a very honest way but has some helpful suggestions for dealing with the illness which still challenges him. A selection of mainly autobiographical books giving some insight into a range of social issues. Crossan’s latest book is beautifully written in free verse – this novel follows the story of conjoined teenage twins Tippi and Grace as they embark on school life for the first time. 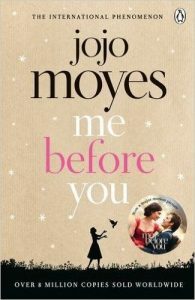 It movingly recounts their difficulties and closeness and draws you into their lives – making it hard to put down and impossible to forget. With the unexpected and sad news of David Bowie’s death this week I thought I would share his reading list. Bowie was an immensely creative, trailblazing music, fashion and video icon and judging by his wide-ranging reading recommendations, incredibly well-read too. How many of his suggestions have you read? The brainpickings website is well worth a browse in its own right. Maria Popova spends hundreds of hours each month curating the most interesting and lesser known content of the internet and describes herself as ‘a reader, writer, interestingness hunter-gatherer, and curious mind at large’. Much of the content is related to books and thinkers. A Christmas Carol is more than just a Christmas story, it is also a snapshot of a society undergoing immense change, holding on to old traditions but also forming new ones. Since publication in 1843 it has never been out of print, undoubtedly because of the nostalgic Victorian Christmas setting, but perhaps also because the continued relevance and resonance of its central themes. Bah, humbug you may cry, but it’s true. 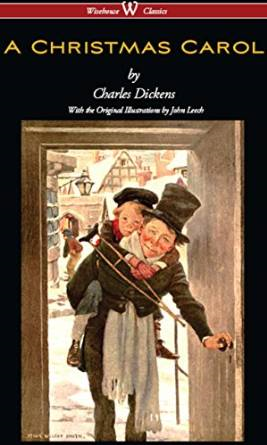 This is a short but powerful book that ushered in a new way of looking at Christmas, as Dickens used Christmas Carol to promote his desire for humanitarianism, and raise awareness of suffering in Victorian society. He shows us that the Christmas season is a unique time of year to be celebrated and enjoyed, full of good feeling, good food and time spent with loved ones. But he also tells us that we should not overlook the opportunity to be charitable, and to bring happiness and comfort to those in need. This opportunity for charity in the “season of good will” has not changed, and Ebenezer Scrooge’s epiphany ‘I shall honour Christmas in my heart, and try to keep it all the year’ is a message for all readers, Victorian and contemporary. Dickens’ novel has reminded us for more than 170 years to look beyond our own lives and be mindful of the impact our actions can have upon others. Be the first to borrow this impressive read and let us know what you think! I loved reading ‘More than this’ and found that once I started, I couldn’t stop turning the pages. The massive plot twist surprised me and shocked me, especially because it was realistic but at the same time not in very different ways. Although it was unusual and strange, the confusion appealed to me and made me really think, something that a book rarely does to me. In short, it was amazing. Louisa in Y9 has just read Uglies and recommends this series as a gripping holiday read. Uglies is the first book in the Uglies series and it immediately drew me in with the cover. I read the first page and was quickly hooked, I couldn’t put it down! The whole idea of the book is really unique and interesting and although I don’t find the actual quality of the writing to be that high, I think the storyline and the pace of the writing overrides this and so I really enjoyed it. The basic storyline is set in a far future where everyone is born ugly and when they turn 16, they undergo a complex surgery to make them a ‘Pretty’. Tally is an ugly but she isn’t too sure if she wants to become a pretty when her friend, Shay, runs away. Helen Macdonald’s award-winning “H is for Hawk” is a startling achievement: an utterly lucid and mesmerising exploration of the mystery and wonder of training a goshawk. Macdonald creates a lyrical story which sings with compassion for the wild beauty within our manicured natural environment. Yet this a book which goes far beyond nature writing. It is also an elegy for Macdonald’s father; her relationship with the hawk is born out of her devastating grief at his loss. 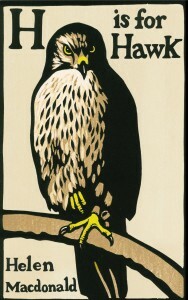 Gracefully woven into the compelling account of hawks and humans is the story of T. H. White whose suffering as he trained his own goshawk is a bitter thread in this shimmering narrative web. Macdonald’s prose is truly extraordinary, combining vivid vocabulary with intensely elevating natural rhythms, all shot through with sharp intelligence. A completely captivating book which will open your heart and mind. This week’s book recommendation comes from Thomas Williamson (9R) It’s the perfect choice for all pupils studying Classics as it vividly portrays an exciting period of Ancient Rome. We also have the sequel Lustrum and both books are also available as e-books. 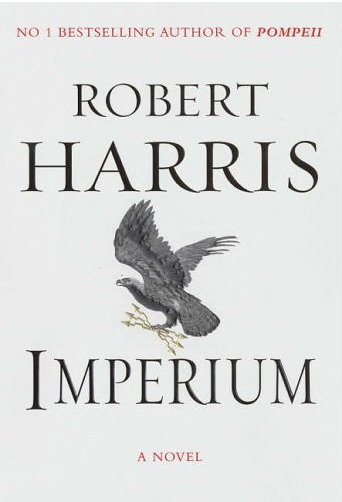 Imperium is a great book written by Robert Harris exploring the lust for power in Ancient Rome. It follows Marcus Cicero, a lawyer, who creates a very dramatic courtroom battle that could win him control of Rome. Harris tells the story through Cicero’s secretary showing the true power of Cicero’s oratory from a different perspective. This book is very gripping and tells an account that is both accurate and informative. He has cleverly written in a modern manner for such an ancient subject and used some of the oratory techniques that create a book that keeps its suspense throughout. This book keeps you on your toes, as it introduces many different people that all add texture into the story. Definitely a good book! 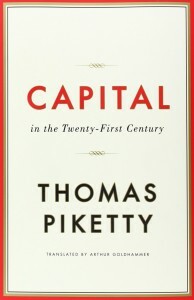 Challenging Economics Books. Charlotte Alder in the U6th has reviewed all her summer reads in the field of Economics. This is a really useful list for 5th form and 6th form students studying Economics. The Bottom Billion by Paul Collier is accessible to all ages at Wellington and a really thought-provoking read for geographers too. Join the conversation – do you agree with her book ratings? Mortal Chaos is a brilliantly written book by Matt Dickinson, exploring the ideas of the Chaos Theory and the Butterfly Effect. It explores different stories all related and caused by the beating of a butterfly’s wing. It is cleverly written from simultaneous views across the world, resolving in an ending that is extremely exciting. It’s gripping and builds up to great climax, moving quickly and using interesting language, whilst maintaining suspense. A great book! 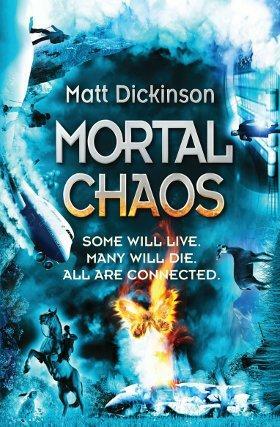 There are three books in this series – read them in any order: Mortal Chaos, Deep Oblivion and Speed Freaks. unique and accessible book will only take a couple of hours to read. Recommended by Alys in the U6. Here is a recommendation from Mr Atherton, Head of IB Diploma and teacher of Maths and Theory of Knowledge. It features in the Biology Top 10 list. This book consists of a series of extraordinary case histories described by neurologist Oliver Sacks. Each essay looks at a different brain disorder – from the autistic twins who talked in prime numbers and inspired the film ‘Rainman’ to the man incapable of creating new memories since WWII and constantly surprised when he saw himself in the mirror. His story provided the inspiration for my favourite film ‘Memento’. These broken minds shed some light on the most complicated thing in the known universe – the human brain. What if? by Randall Munroe, is, for want of a better description, a book about science. However delve any deeper than the front cover and you will realise that to dismiss it as just a science book would be folly. The renowned web comic author and ex-NASA employee has turned his attention now to answering all of the silliest questions that the web has to offer. What if? will have you laughing, pondering, and debating the sillier side of science in a concise non-fiction book accessible to all age groups. So if you want to know what series of circumstances would lead to the Netherlands conquering the world, or how to destroy the moon with lasers, then this is the book for you! Miodownik first contemplated materials and their relationship to human culture when he was stabbed in a Tube station as a school boy. The weapon was a tiny piece of steel. He writes that ‘since the stabbing incident, I have spent the vast majority of my time obsessing about materials. 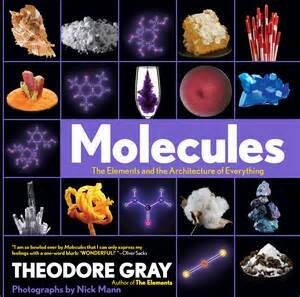 Here’s a science book that is guaranteed to intrigue the lay person as well as appealing to scientists, designers, engineers and architects. 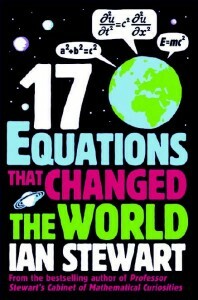 It recently won the Royal Society Winton Prize for Science Books which celebrates ‘outstanding popular science books’. You can download the first chapter from all of the 6 shortlisted books here They cover topics in biology, physics and chemistry and are all available in the Library. They would make excellent Christmas presents for pupils – particularly 6th formers applying for Sciences! If you enjoy Bear Grylls on TV, or books by climbers about their endeavours, or programmes following recruits to the Armed Forces, then you’ll enjoy this autobiography from Bear Grylls. It starts with his childhood on the Isle of Wight and the fact that his real name is, slightly disappointingly, Edward. He then moves on to his mixed emotions at being a boarder at an unnamed prep school, and then at Eton, and entertains us with tales of daredevil climbs on the school roofs and a night-time exploration of the town sewers. The majority of the books is devoted to detailed sections on the physical and mental demands of the SAS Selection process and his ascent of Everest. All this before he turned 24! Be warned though that there is nothing about his time serving with the SAS Reserves – but that just adds to the mystery. Bear’s writing style is chatty, which some might find annoying, but his descriptions of his experiences really succeed in putting you in his shoes and giving a glimpse of how genuinely hard it must be to gain entry to the SAS or to climb Everest. In the past I have sometimes felt that these were things I might have managed… but after reading this I’m not so sure! 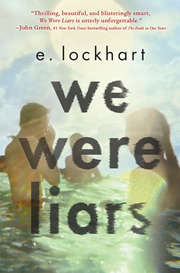 We were liars focuses on the rich, beautiful and perfect Sinclair family and their summers together on their private island. The book is narrated by Cadence Sinclair, one of the four teenagers in the family who call themselves ‘the liars’. Two years ago, she was found curled up on the beach with the waves washing over her and since then has suffered from terrible headaches. But what happened? And why will no one talk about it? She persuades her mother to let her go back to the island and see the family, to reconnect and puzzle together the past. We puzzle along with her, trying to piece together the elliptical comments of other family members and Cadence’s fragments of memory. The truth, when it comes, is shocking and unexpected. 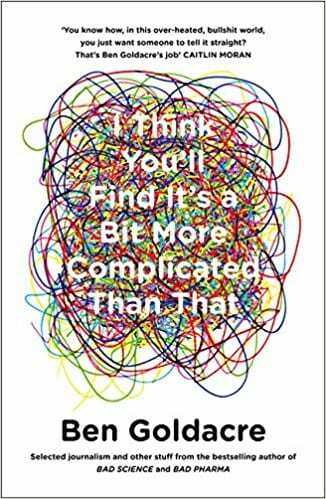 This book will hook you in and keep you guessing until the very end – well worth a read. Several different philosophical arguments are explored, as well as the psychology of charitable giving from the perspective of the individual. Singer’s socio-political ideologies are well justified and the explanation of the origin of moral duty is impeccably clear, comprehensive, and most importantly persuasive. Fiction fans are in for a treat on 31st July with the publication of “What Milo Saw”; the first novel by Wellington English teacher, Virginia Macgregor. 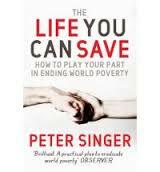 I feel privileged to have been able to read this touching book in advance of publication. 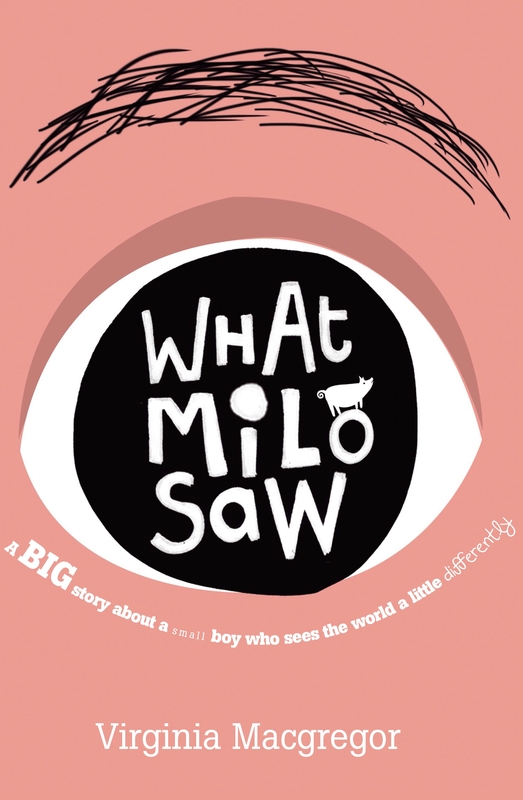 It tells the story of Milo Moon, a young boy suffering from retinitis pigmentosa, who sees the world through a pinhole. He sets out to expose the problems at his gran’s nursing home (accompanied by Hamlet, his pet pig). The story is peopled with a wonderful mix of flawed but interesting characters. 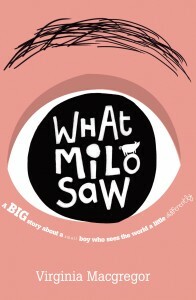 There is plenty of humour amidst the adversity and Milo is a hugely appealing protagonist. 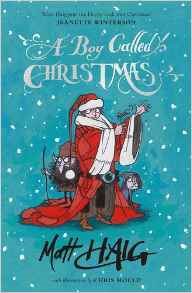 Although intended for adults, the book “will be adored by fans of child-narrated fiction like The Curious Incident of the Dog in the Night and Wonder” but for me it had parallels with Frank Cottrell Boyce’s ‘Millions’ and an arch-villain reminiscent of Miss Trunchbull in Matilda. It’s quirky, thought-provoking with big themes and an entertaining plot. 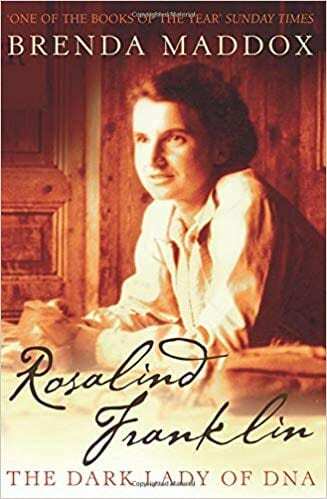 This beautifully written book stayed with me a long time after the first reading – but I’m looking forward to re-reading it, discussing it with my friends and family and seeing the final published version. Written by Jonas Jonasson, this book really is one of a kind. Allan Karlsson, a Swedish explosives expert, is a man that, instead of turning up to his one hundredth-birthday party, leaves his caring home through his window with nothing but a pair of old slippers. Set in Sweden, we follow the journey of a centenarian who meets criminals, an almost-vet with many other surprising talents, and a woman with a pet elephant. Mix this in with a gang of thugs, a police inspector and a suitcase filled with cash, and you end up with a very funny story. In parallel with this plot, we also follow Allan growing up, and discover that he has met almost every important global leader since 1905, has visited every continent, and actually determined the course of the world. The narrative for this book is humours and engaging, using irony and sarcasm as its key features. As well as being an extremely entertaining read, it is also very informative, with facts about the world’s history spewed left, right and centre. 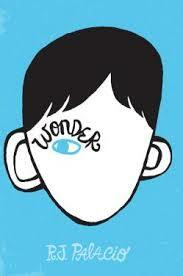 I really enjoyed this book; I found the characters easy to picture and imagine, and empathize with. The plot was brilliant, if ridiculous, the narrative was very conversational and I loved the way it put the law of Sod to the extreme: anything that could go wrong, did go wrong. In fact, it was more like this: if anything could have happened, happened. 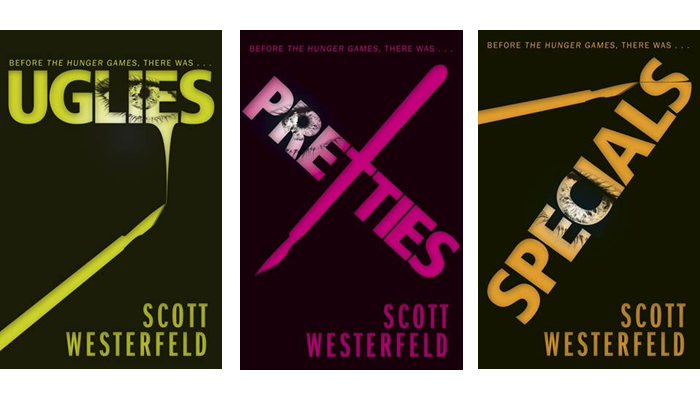 The book has a very satisfying end and you grow to love all of the characters. 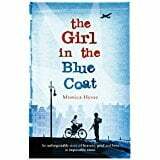 It is a brilliantly written book, with a great plot and fabulous endearing characters, and I would recommend it to all those who enjoy a good read, and I would happily read it again and again. For those of you who are not fiction fans or for people short of time this is a great book to dip into. Each idea is nominated by an eminent thinker of our time. The essays are only two to four pages long and intriguingly written. 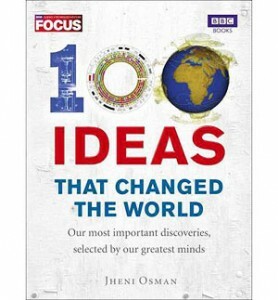 Ideas range from ‘Vaccination’ championed by Richard Branson to ‘Zero’ nominated by Timandra Harkness. Subjects include science, medicine, the universe, psychology, technology, engineering and numbers. A fascinating book for all ages, giving brief overviews of key ideas which may inspire you to find out more. Thank you to James Hollingdale for recommending this book through his Extreme Reading Photo on top of a Scottish mountain! Instead of a ‘Book of the Week’, this time I’m going to propose a book recommendation website I’ve just discovered. Five Books asks authors and experts to recommend the best books in their subject. In an interview they then discuss why the books are important and what they are about. You can browse by topic or interview or search for a particular book or author/expert. It covers a huge range of subjects range from Espionage to The Mind and Comedy to How to Be Good. Try Tom Holland on Ancient Rome, Jo Nesbo on Norwegian Crime Writing or Marcus du Sautoy on The Beauty of Maths. There’s a whole section on Being a Parent and plenty of fiction suggestions too. Definitely something for everyone on this very attractive website. Follow @tweetingmanatee on Twitter for updates on interviews and authors. If you would like the Library to order any of the books you discover or want to check stock, email library@wellingoncollege.org.uk . As many of you embark on long journeys we thought a gripping page-turner would be a good book choice for the holidays. 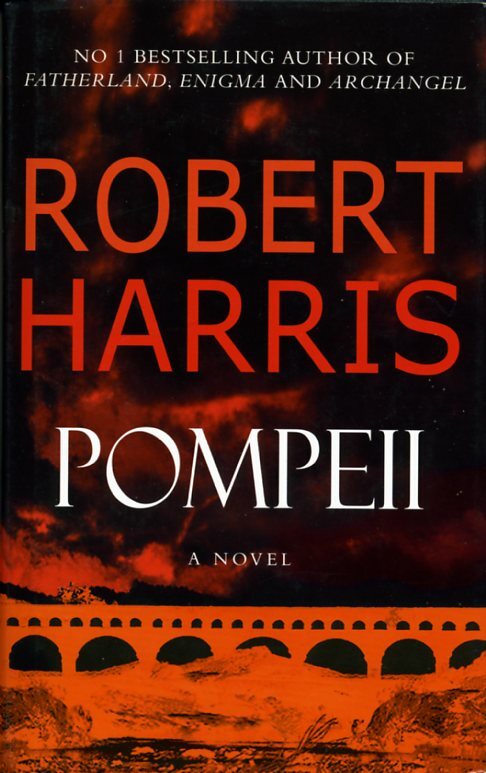 Robert Harris has many thrillers to his name but this one vividly recreates a historical time as it is set in an opulent Roman town on the verge of destruction by the eruption of Vesuvius. Harris takes well-known historical facts and weaves his breakneck-paced plot around them. The Aquarius (aqueduct engineer) mysteriously disappears and Marcus Attilius is appointed. The key aqueduct stops flowing and the new Aquarius must resolve this problem before all the towns in the Bay of Naples run dry. Wonderfully evocative of life in ancient Italy with fictional characters interspersed with real historical figures such as Pliny the Elder. You don’t have to be an engineer, classical scholar or historian to be carried along by this thriller – the fascinating historical detail only adds to the realism. 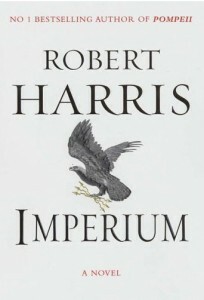 Harris’s novels ‘Lustrum’ and ‘Imperium’ provide more on the Ancient Roman theme. 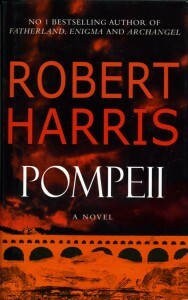 If you haven’t read any of Robert Harris’s books yet you have many treats in store. We have just added Harris’s latest historical thriller ‘An Officer and a Spy’ to library stock. This plot centres around the Dreyfus Affair, the political scandal in Paris at the end of the 19th Century. This books was recommended by our Extreme Reading Photo Competition winner Chiara Fumagalli. This is recommended by one of our parents – Gavin Rezos. It’s the true story of the 1936 University of Washington crew who won the Gold medal after beating the German, Italian and British crews in the final Men’s VIII’s in Berlin in front of Hitler at the 1936 Olympics. The boys had to battle the early 30’s great depression, work hard in any available jobs just to stay at University and strive against 200 other hopefuls to get into their top school crew. They also had to beat the US Ivy league schools on the way in front of crowds of over 100,000 people. For one of the boys, the depression meant being left on his own at 14 to survive as best he could on the family farm whist his parents sought work elsewhere. Part of his challenge to make the crew, meant learning to trust his fellow crew members when life had only ever taught him not to rely on anyone. There is a strong historical background, setting the scene, including the rise of Goebbels and Leni Reifenstahl in creating the Nazi Mythology juxtaposed against the Seattle community spirit to help the crew get to the Olympics. This week’s book recommendation comes from Lucy in the 4th form. It was shortlisted for the Carnegie Book Award last year and has proved a popular book choice for a number of our pupils and parents. Lina lives a comfortable, happy life in a middle class family in the 1940’s. She lives in Lithuania with her caring mother and father and her younger brother. However one night, her whole world falls apart when her home is invaded by NKVD officers under Stalin’s orders. At only 15 she, her mother and her brother are forced to fight for survival in the harsh conditions of Siberia. This book stirs many powerful emotions within the reader, as it is based on a true story. It evokes disgust at the way the refugees were treated and realization at the horrors people had to face. However, despite the appalling conditions these innocent people had to face, there is a theme of hope throughout, which is what the refugees cling on to in order to keep going and stay alive another day. I thoroughly enjoyed this book because, although the reality of it is shocking, its meaning is so deep and moving, it is impossible to put the book down. Here’s a helpful Middle-School reading list from Mr Wayman – an excellent range of reading suggestions here for that long summer break! In Darkness is a complicated book. 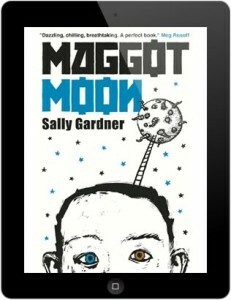 I wouldn’t recommend it to anyone under 12 as it isn’t the easiest book and contains strong language but I enjoyed it. It tells the story of a young boy, shorty, and the founder of Haiti, Toussaint L’Overture. It switches between them in each chapter. In the ‘NOW’ chapters Shorty is stuck in a crumbled hospital in the Haiti earthquake and tells the story of his life. The ‘THEN’ chapters tell the story of Toussaint L’Overture’s life since he started campaigning for a slave-free Haiti. There is a similarity between the two characters and they are both ‘In Darkness’ throughout the story literally and metaphorically. Winner of the 2012 Costa Children’s Book Award this is a moving and original story. It is also available as an amazing interactive iBook – come and try it on the Library iPads and you are sure to be hooked. 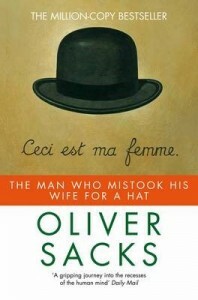 October 2012: Mr Hucklesby highly recommends this Booker Shortlisted title.